While Brookes didn’t make his comments via Twitter, there is every chance he would have done so if he was an active tweeter. We are very sorry to those who have been hurt by our comments & want to make it very clear that we support the introduction of the NDIS. 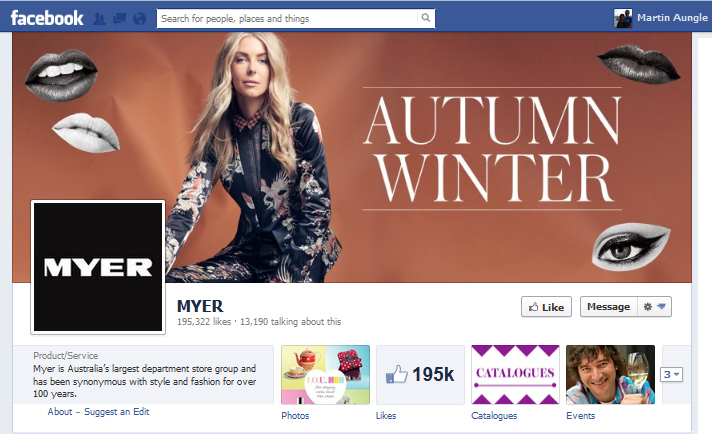 It was probably too late by then, with the #MYER hashtag on Twitter already doing plenty of damage to the brand. So, would it have made any difference if Brookes was on Twitter? On the face of it, Brookes’ comment as a tweet would have made matters worse for Myer. There would have been an instant response and Twitter community would have had a direct target for its anger. However, if Brookes had been an active Twitter user, it’s more than likely he wouldn’t have made the comment in the first place. Why not? Because he would have been far more sensitive and aware of the impact his words have on the wider Australian community. I disagree. I don’t think every CEO or senior executive should be on Twitter. While most of them wouldn’t have the time to manage an account themselves, more importantly I don’t think many have the inclination or desire to communicate that way. Twitter is not for everyone (even those in the media industry!) and I think it is just as lacking in authenticity to ‘ghost tweet’ for a CEO as it is to force a senior executive onto Twitter in the first place, simply because you think it’s the right thing to do. Over the last few years I’ve had the opportunity to work with senior executives who have expressed a desire to learn more about Twitter and start actively participating. My approach is first of all to question them on why they want to get involved and what they feel they would get out of it. I also like to sound out what sort of engagement they have already as users of social media. So, should Brookes be on Twitter? I doubt it. I don’t know much about the man himself, but from what I know about the retailer and its management style, I can’t see him as someone who would readily take to social media. That said, while Brookes doesn’t have to be an active participant, what he does need to understand is how social media works and what sort of impact his public comments have or will potentially have on the online community, which is ever-approaching the wider Australian community. I’m sure that is something his media and marketing advisors are doing right now.